A Tuskegee Airman and Congressional Gold Medal recipient who shot down two German fighters, Retired Air Force Lt. Col. Luke J. Weathers, Jr., will be buried Friday at Arlington National Cemetery. The 113th Wing, dubbed the ‘Capital Guardians’ from Joint Base Andrews Naval Air Facility Washington, will perform a four-jet flyover to honor Weather’s life and service to his country. 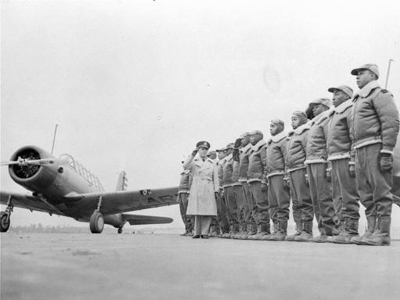 Weathers’ story is highlighted – along with dozens of other Tuskegee Airmen – in the new movie “Red Tails.” The movie is scheduled to be released the same day of his burial. Information from a 113th Wing Air Guard report and a North Star News article was used in this entry.